A wonderful example of how to save an historic building of significance to its local community. The Berry Courthouse was at the centre of law and order in Berry for over a hundred years. 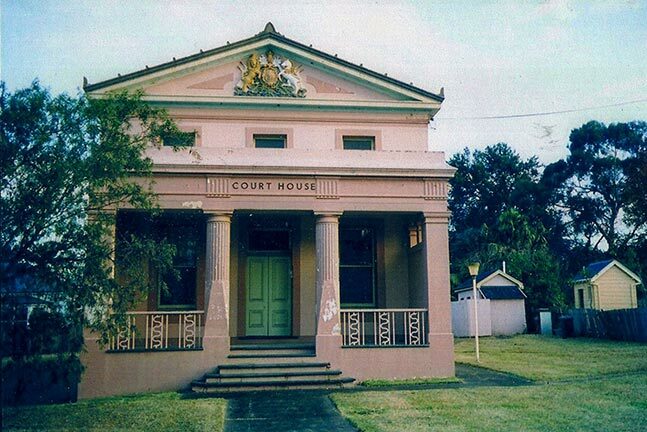 One of the last public buildings designed by Colonial Architect James Barnet (1827–1904), it is virtually in its original state and is the only example of the classical Greek Revival style in the Shoalhaven and Illawarra regions. The final design was strongly influenced by David Berry, then owner of the town, and later his heir, John Hay. 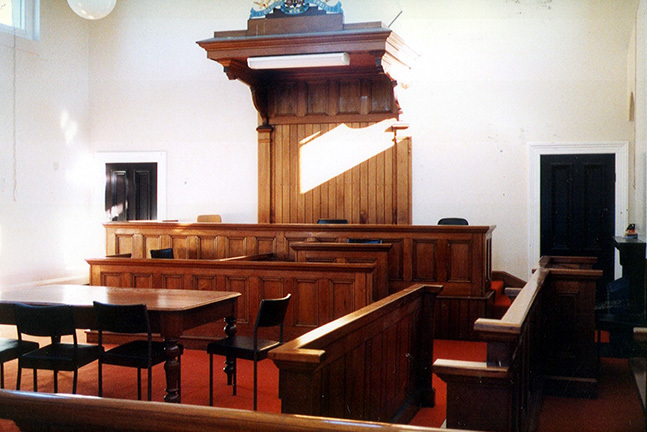 In consequence, it has more grandeur that the other nearby Courthouses in Nowra and Kiama, which were constructed according to the wishes of their Municipal Councils. Completed in September 1891 at a final cost of £1658/10/7, the Courthouse was in use until 30th July 1988, when it was abolished by the NSW State Government as it was no longer required. The back rooms of the building were then used as a police station until 1994, when it was sold into private ownership. In a wonderful example of how to save an historic building of significance to its local community, residents put up a long and vigorous fight to oppose the various Development Applications submitted over the following years. A proactive group formed by the Berry Alliance managed to convince Council of the importance of the building, and Council purchased it with financial assistance from the concerned citizens in the Berry community. 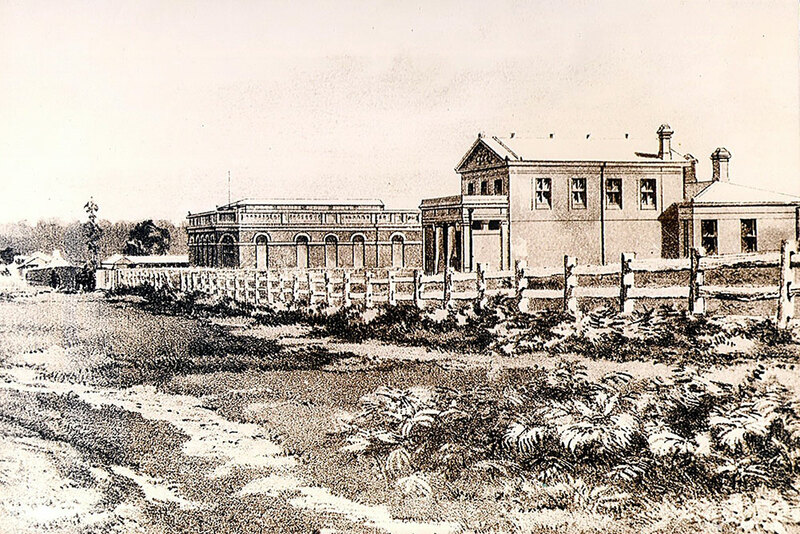 Thus the Courthouse was returned to the local community. The Berry Courthouse Conservation Committee Inc was then formed by the Alliance and the building leased to the Committee by Council, who endorsed their business plan and vision. Both the building and the gardens are now both regularly used by the community and visitors for weddings, functions, exhibitions and concerts, and the gardens have been opened for the Berry Gardens Festival and Open Gardens Australia. For a more detailed history, view the PDF booklet, ‘History of the Berry Courthouse’ (2009). To find out more about Berry’s History visit www.berryhistory.org.au.